This set is the second installment of the Maglev Track Set, a track set that allows the user to separate their various maglev trains on different types of tracks for extra realism. It is also possible to use this set solely to replace the default maglev tracks. This set includes tracks for the SC-Maglev, the Transrapid, the M-Bahn, the various Urban Maglevs around the world and the South Korean high speed maglevs. This trackset includes custom tunnel portals, custom fences and custom depots. - Fixed: Name of SC-Maglev not showing properly. - Fixed: Urban Maglevs loading the SUMA tracks and taking up 2 slots. - Redone: All sprites for the tracks and the depots have been completely redone. - Added: SUMA tracks for the South Korean High Speed Maglev trains, should anyone ever make a trainset with this train. - Removed: Three Phase Medium Speed Maglev. Chinese Urban maglevs now use the universal "Urban Maglev Track". - Changed: Trains now have names describing what trains run on it. This corresponds to the description in RIMS. - Changed: All high speed maglev tracks now have the maximum speed of 1230kmh, or almost Mach 1. - Changed: All medium speed maglev tracks now have the maximum speed of 210kmh, to take into consideration China's idea to make a 210kmh medium speed maglev train. - Added: Custom tunnel portals. - Feature: Ability to turn fences off. - Feature: Ability to switch which depot you want for what tracktype. Using a slightly different scheme from the standardised one, as the standardised one is not made with Maglevs in mind. The Real International Maglev Set - Completely compatible with Maglev Track Set v2. Last edited by Erato on Fri Jul 27, 2018 3:27 pm, edited 11 times in total. You should get an existing track replacement mod, rip some code and have a preview for us. I mean, I have a preview. Here you will see exactly what I meant with a track not showing up, and what I meant with the junctions looking terrible. EDIT: you need the trains to have them show up at all. The Linimo track is almost done! If you look closely you can see what I'm still missing. I drew inspiration from the SMITS NewGRF. The Transrapid and the Zhuifengzhe tracks will probably just be reskins of this track, as I am quite satisfied with the shape. Originally there was going to be a lot more detail. Must've spent a few hours on that, only to find out that the game didn't like what I was doing. So I settled with this instead. As always, feedback is very much welcomed. Both the Linimo track and the Zhuifenghze tracks are done! Any thought of integrating MTS into MMT and enabling the tracks by parameter? Ate you setting your tracks to use the MGLV tag? Are you setting your tracks to use the MGLV tag? EDIT: I have the code now: It's there. I'm just going to leave this here together with the current version of the Maglev Track Set and an accompanying MMT version. Gotta study for finals and entrance exams so don't expect much more for a while. Please do continue to find problems and give feedback. I just won't be able to do a lot. If at all possible, please take a look through the source, which is also among the attachments. The linomo tracks are missing the center rail! Nice maglevs tho! They aren't. They're just not very pronounced here. Might change that later. 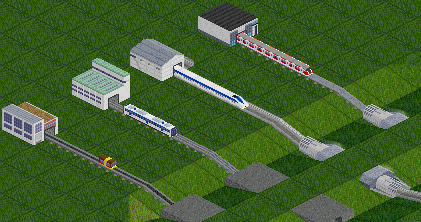 New feature: Replacing stock maglev track. Thanks for speeding up the speed limit! The great fat burners site here. Lately I've been working on Maglev Track Set v2. The first version had become a complete mess and I wasn't satisfied with what it had become, so I started anew. Soon I'll be uploading Maglev Track Set v2. I'm very satisfied with the results. Maglev Track Set 2.0 out now! See OP or BaNaNaS to download. I discovered a small bug after wanting to play with this new set. Took me a while, but I managed to fix it. If you're wondering why the SUMA tracks don't show up: At this moment RIMS and other maglev sets don't have any maglevs that run on SUMA tracks. Fixed: Name of SC-Maglev not showing properly. Fixed: Urban Maglevs loading the SUMA tracks and taking up 2 slots.